Xestophanes brevitarsis is a gall wasp that causes galls to form on Tormentil (Potentilla erecta) and Trailing Tormentil (Potentilla anglica). 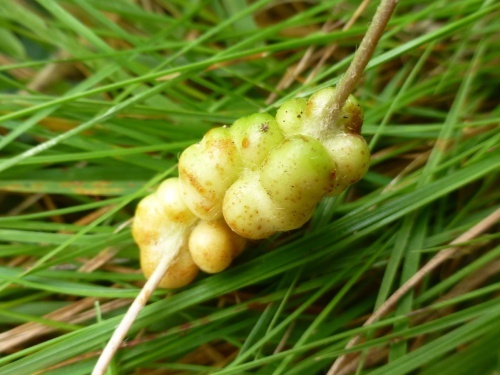 The galls are seen more often than the adult. 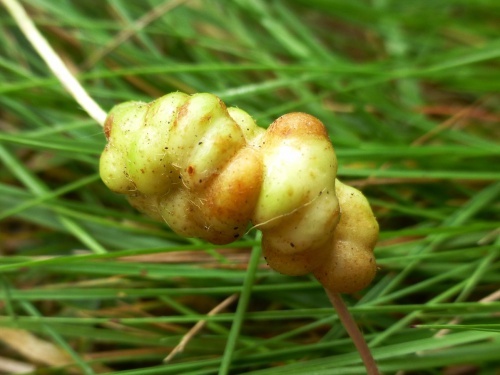 Galls are usually found on the aerial stem or sometimes at the root and take the form of rounded swellings, 2 to 3 mm across, often several in a group and sometimes coalesced. They are green or pink at first, becoming brown and hard. Where Tormentil (Potentilla erecta) and Trailing Tormentil (Potentilla anglica) are present. Galls appear in summer and autumn. Rare or under recorded in Leicestershire and Rutland. The Charnwood Lodge record of 17th September is believed to be the first record of this species in VC55.